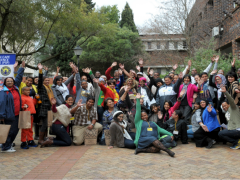 The PSP works through a range of different projects, addressing the inequalities in education in South Africa. It aims to improve the quality of teaching and learning in primary schools in the critical fields of Mathematics & Numeracy, Natural Sciences & Technology, Environment, Language & Literacy Development and Social Sciences. The three core programmes of the PSP are the Innovation Project, the Cluster Project and the Joint Mentorship Project. PSP also runs specific training courses on Environmental Education as well as delivers contract work for the Department of Education and other fixed-term development projects. Read more about our projects below or support our work and donate to the PSP. PSP’s Innovation Project develops primary teachers’ content knowledge and teaching skills and provides materials to support learning. Environmental Education also forms part of the Innovation Project. NOTE: The 2018 Course Programme can be found under PSP News! 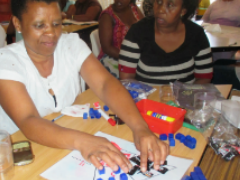 PSP’s Innovation Project develops primary teachers’ content knowledge, improves practical teaching skills and provides materials to support learning. Each year an “Annual Mass Planning Forum” is held with teachers in the fourth term, where large numbers of teachers decide on their priority topics for Innovation courses for the following year. The programme of courses for the year is drawn up according to these requests from teachers. This ensures teacher participation and buy-in to the Innovation Project. 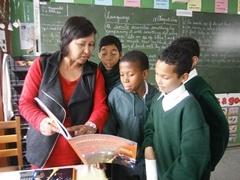 Each term, we offer a rich programme of courses for teacher development and classroom innovation in the areas of Natural Sciences & Technology, Mathematics & Numeracy, Language & Literacy, Social Sciences and the Environment, which address the professional training and development needs of Grade R to Grade 7 teachers from schools in disadvantaged communities around Cape Town. At each course, teachers learn about a specific aspect of the curriculum, including innovative approaches and methods for teaching, and they engage with each other about practical teaching strategies and learner experiences. 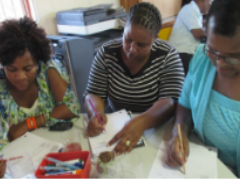 The PSP draws on these engagements with teachers to develop new resources to encourage classroom innovation in line with National Curriculum requirements. All participating teachers and schools are provided with these PSP materials, and other schools and teachers purchase the materials on a cost recovery basis.. Innovation courses are presented from Monday to Thursday from 15:00 – 17:00 during the school term. Teachers attend the courses they need voluntarily and in their own time, at the same time accumulating relevant professional development points over the year. Currently, the PSP works with an average of 800 teachers from more than 60 primary schools in the Innovation Project. The PSP is situated at the Edith Stephen’s Wetland Park, an urban conservation area in Cape Town. This is a biodiversity hotspot surrounded by urban sprawl near to the communities the PSP serves. PSP runs environmental courses for teachers using the extensive outdoor resources available on this site. After each course, teachers are invited to bring their classes for an environmental outing to the Park. 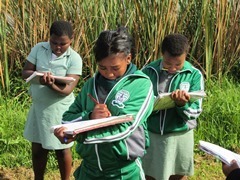 The activities with the primary school learners are co-facilitated by the teacher and an environmental PSP facilitator. 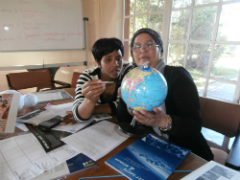 Additionally, the PSP uses every opportunity to integrate environmental principles into the Natural Sciences & Technology, Language and Mathematics development work with teachers. 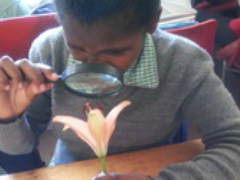 The Cluster Project provides small clusters of primary schools in urban townships and rural areas with in-depth training and support on how to teach and assess the Natural Sciences curriculum and integrate it with Language development as well as Mathematics. PSP’s Cluster Project provides small clusters of primary schools in urban townships and rural areas with in-depth training and support on how to teach and assess Foundation Phase Mathematics and Intermediate & Senior Phase Natural Sciences & Technology, and to integrate it meaningfully with Language and Mathematics development. Teachers receive high quality classroom focused PSP support materials and other resources for practical science and maths. All support in PSP’s Cluster Project is aligned to the current curriculum. In this collaboration with the Western Cape Education Department (WCED), schools are identified by the Education Department Districts. Thereafter, schools decide and voluntarily commit to participating in the project for a project cycle of two years. 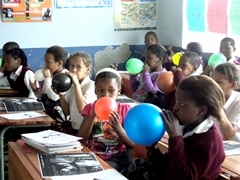 Since its inception in 2002, the Cluster Project has worked with over 200 schools in sixDistricts (Metropole East, South, Central, North, Cape Winelands and the Overberg) of the Western Cape, South Africa. Each term, all the participants in a cluster attend a six-hour training workshop, focusing on activities that develop Mathematics and Natural Sciences & Technology concept knowledge as well as practical teaching methodologies. All Science and Maths work is continuously integrated with Language. These workshops are followed by individual classroom mentoring, coaching and support visits each term. Each school receives a set of PSP teacher support materials and classroom resources for Mathematics and Natural Sciences & Technology. At the end of the two year cycle, teachers are invited to present their highlights at a provincial teachers’ conference. They are mentored and supported by the PSP Facilitators to develop and refine their ‘best teaching practice’ presentations. The current Cluster Project cycle works with 10 schools in the North and East education districts and 5 schools in the Overberg education district. 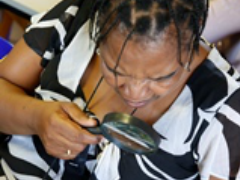 In 2015 the Cluster Project currently reached 299 teachers, benefitting over 17,000 learners. 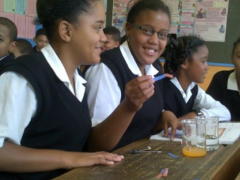 The Joint Mentorship Project (JMP) is a collaborative partnership between the Western Cape Primary Science Programme (PSP), the University of the Western Cape (UWC) and the Western Cape Education Department (WCED). 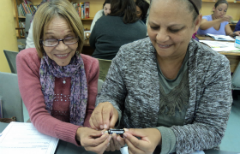 The Joint Mentorship Project (JMP) is a collaborative partnership between the PSP, the University of the Western Cape (UWC) and the Western Cape Education Department (WCED). The project supports first-time teachers at the start of their teaching career, providing on-site mentorship in schools, content and skills training workshops and overall teacher support. Mentorship and support focuses on curriculum implementation, classroom management, understanding the culture of the school and managing administrative tasks as well as continuous professional development. New teachers face enormous challenges as they are integrated into schools, especially schools located in disadvantaged communities. This entry period is understood to be a critical time in the professional life of a teacher and the PSP, together with its partners, designed a two-year project to ensure that first-time teachers are better able to bridge the theory-practice divide, deliver quality education to children, and in a short space of time become the leaders in the schools where they work. Based on the experience of the pilot JMP project as well as the refinements to the project, the PSP developed the handbook, TeachSmart a practical guide for first-time teachers and for schools. •	Stay in the profession and stay excited about teaching. The success achieved by the JMP is attributed to the consistent and intensive classroom mentoring support and reflection in context received by beginner teachers each month over a two-year period.